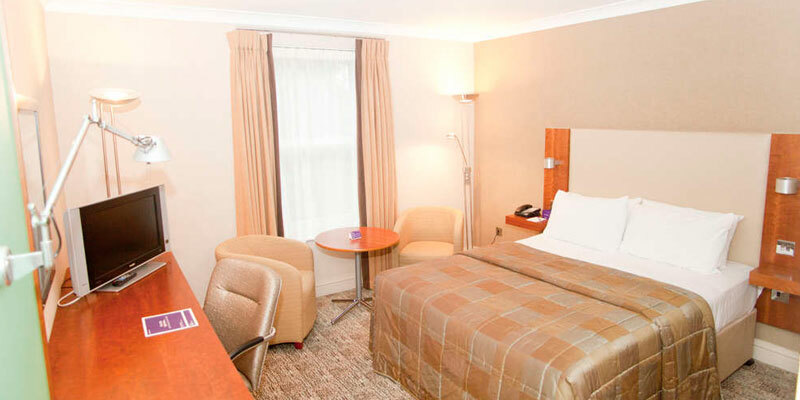 This 4 star hotel is ideally located and has great facilities. This 4 star hotel offers you and your family everything you could need on your Warwick Castle Break. Historic charm coupled with contemporary glamour is the theme throughout the hotel thus creating a sophisticated and relaxing atmospherewhich you can enjoy after exploring the Castle. 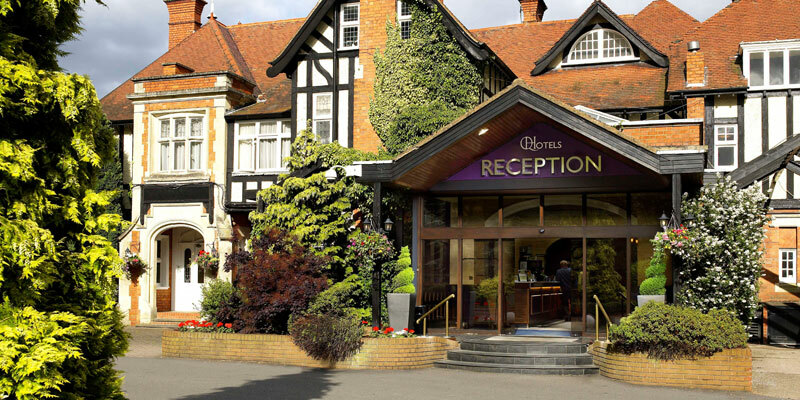 Complete with glamorous rooms, a swimming pool and free parking on-site, the Chesford Grange Hotel is a stunning option for your family's Warwick Castle Break. When can I check in and check out? The earliest check in time is 3pm, and the latest check out time is 11am. Yes, you can leave luggage at the reception desk. 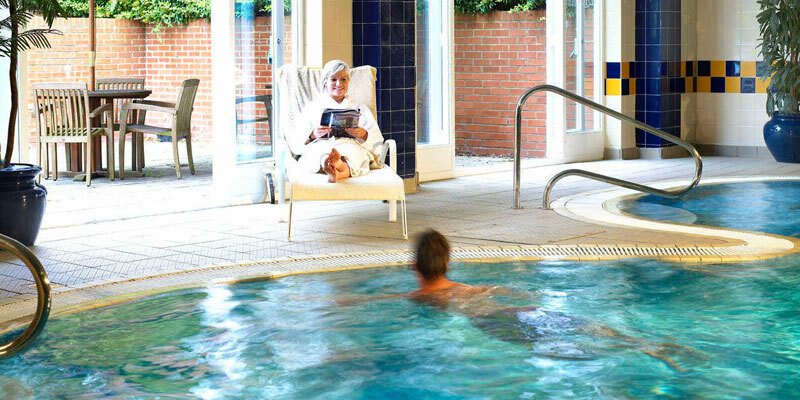 Yes, there is a pool at Chesford Grange Hotel. There is free on site parking available to all guests. The pool has dedicated children's splash times, please check with Reception at the Chesford Grange hotel for more details. Please note, children must be accompanied by an adult at all times. Maximum 2 children to 1 adult. What facilities are there for babies/infants? Baby changing facilities are available in the Disabled Toilet facilities. 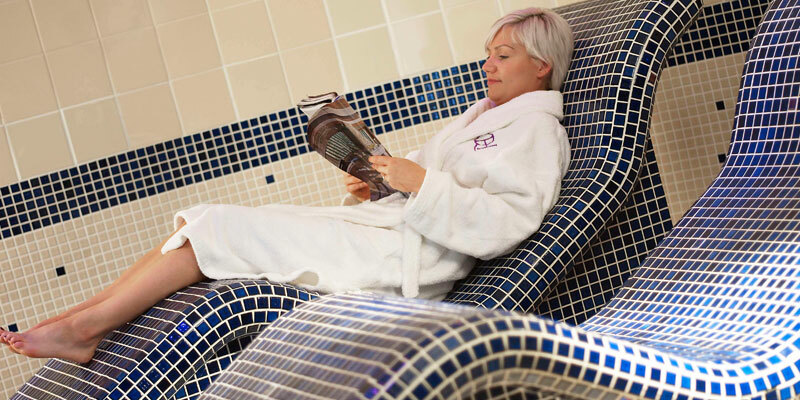 The health club and spa facilities at Chesford Grange Hotel offers a number of relaxing treatments and special treats if you are looking to add a little extra luxury to your stay. Please note additional charges apply. 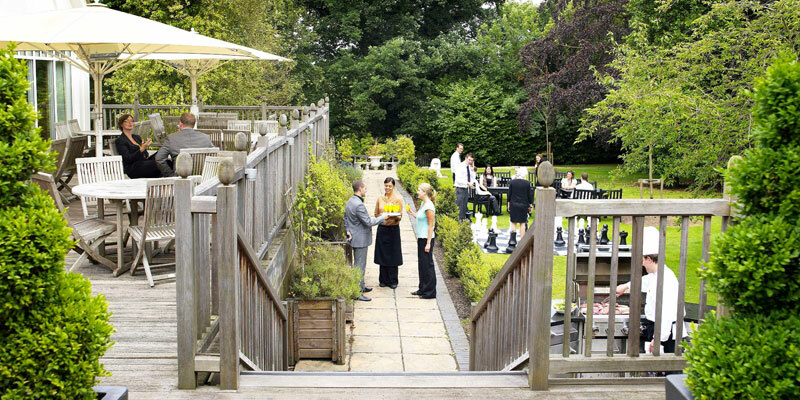 The Chesford Grange hotel has one room with a walk-in shower and five rooms with low baths. There is lift access to all floors excluding the Manor House. Disabled toilets are located in the leisure club and Grange Room. 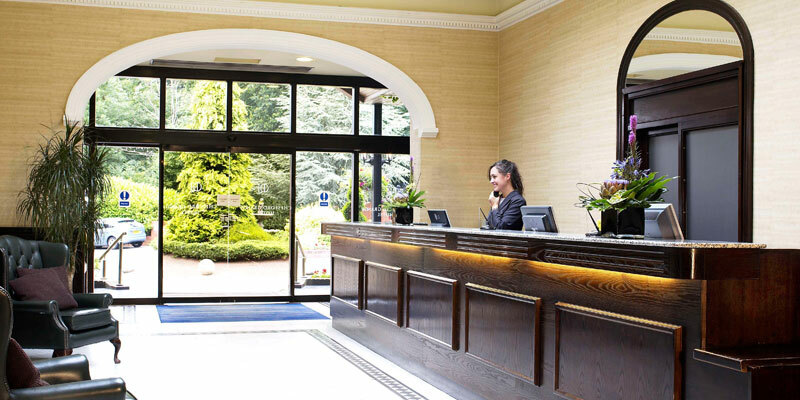 For more information or to book an accessible room, please speak to a member of our Customer Experience Team on 0845 330 1011 (calls cost 3p per minute plus your phone company's access charge). You can call the hotel directly on 01926 859 331. A Full English breakfast is included with every package. Breakfast is served in the River Room restaurant from 7:00am to 10:00am, Monday - Saturday and 7:00am to 11:00am on Sunday. The River Room restaurant offers fine dining in a breathtaking setting, serving modern British classics made with exceptionally fresh ingredients. Dinner is served from 7:00pm to 10:00pm daily. 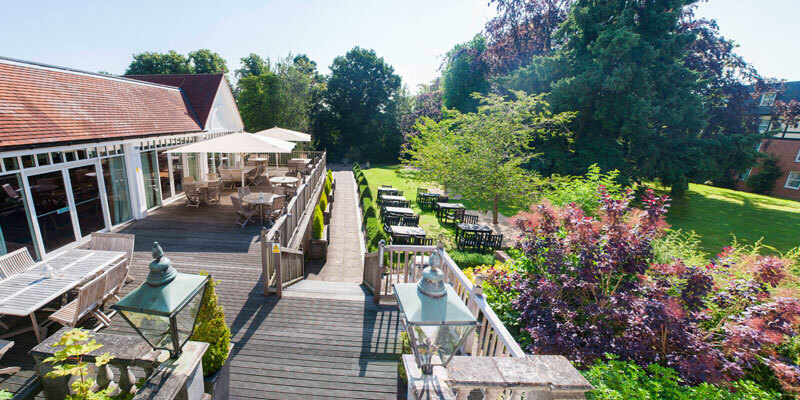 Alternatively, the Terrace Bar, which overlooks the beautiful landscaped gardens, offers informal dining from coffee and pastries, to light snacks and hearty meals. Are there any kids meal deals? 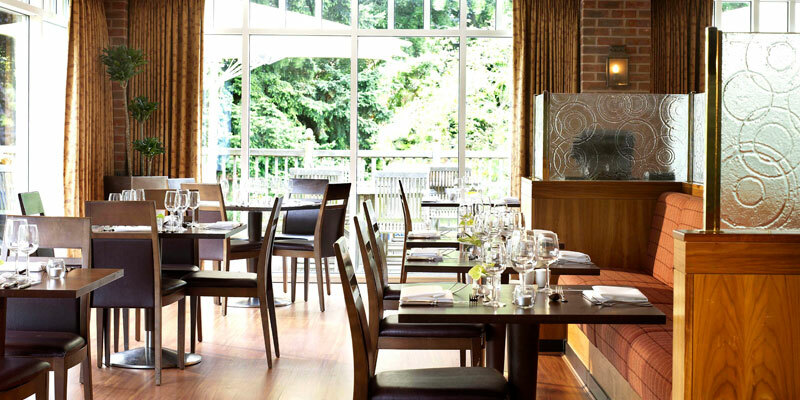 The River Room restaurant has a dedicated children's menus and children aged 4 and under eat FREE! How are the rooms laid out? 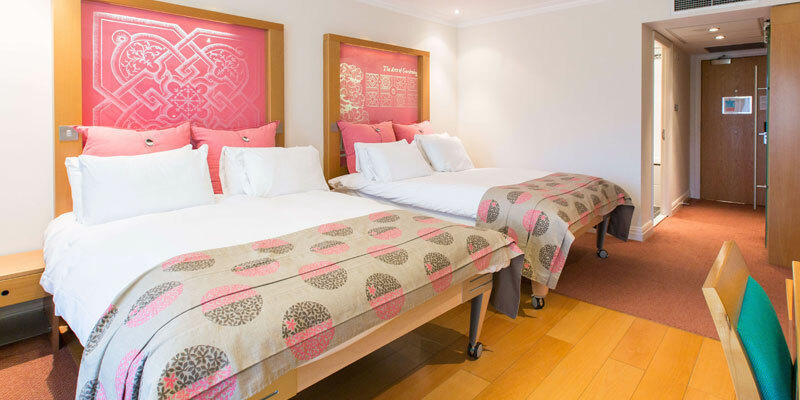 The triple room layout includes one double bed and one single bed. 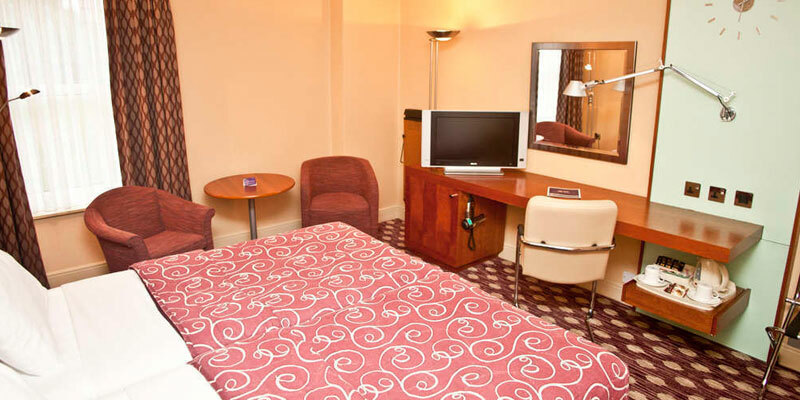 The quad room layout includes one double bed and one sofa bed. Leave the M40 at Junction 15. Follow the A46 towards Coventry and take the slip road signposted Kenilworth and Leamington Spa (A452). At the roundabout, take the right exit signposted Leamington Spa. Continue for 400 yards and follow the signs to the hotel. At Junction 21 of the M1, follow the M69 towards Coventry and join the A45. Take the first junction off and join the A46 towards Warwick. Take the slip road signposted A452. At the roundabout, take the first exit signposted Leamington Spa and follow the signs to the hotel. Terms and conditions apply. *FREE second day Castle tickets must be taken during your break, between your hotel check in and check out. Breakfast is included in all packages unless otherwise stated. Offers subject to change and availability. If you can find exactly the same Warwick Castle ticket and accommodation package cheaper within 24 hours of confirming your booking with us, we will refund the difference to ensure you have paid the best possible price for your break subject to a few terms and conditions. Reclaiming your money is really easy. Simply call us on 0871 097 1228 and let us know the details of your claim. We will look into it and give you a decision within 3 working days.